He has extensive experience in trade and investment development across Asia and the Pacific as Chief Executive of the Australian Trade Commission (Austrade) for almost eight years. 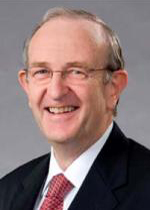 He has been closely involved with international market development services including responsibility for trade offices in China, Japan, Papua New Guinea, Fiji, New Zealand and Europe as well as the sponsorship of Australian trade and investment in the Pacific Island countries. He has also had line management responsibility for the offices, companies and trading operations of the large consumer goods company Reckitt & Colman. Companies throughout Asia and the Pacific.